Dental caries remains a major public health concern in most industrialized countries, affecting 60–90% of schoolchildren and the vast majority of adults. Water fluoridation is the controlled addition of fluoride to a public water supply to reduce tooth decay(caries). Fluoride reduces the rate at which tooth demineralizes and increases the rate at which it remineralizes in the early stages of cavities. A 1994 World Health Organization committee suggested a level of fluoride from 0.5 to 1.0 mg/L (milligrams per litre), depending on climate. Water fluoridation prevents cavities in both children and adults, with studies estimating an 18–40% reduction in cavities when water fluoridation is used by children who already have access to toothpaste and other sources of fluoride. Although water fluoridation can cause dental fluorosis which can affect the appearance of developing teeth, a condition known as enamel fluorosis, most of this is mild and usually not considered to be of aesthetic or public-health concern. There is no clear evidence of other adverse effects on the overall general health of the public due to the effects from water fluoridation. Studies on adverse effects have been mostly of low quality. 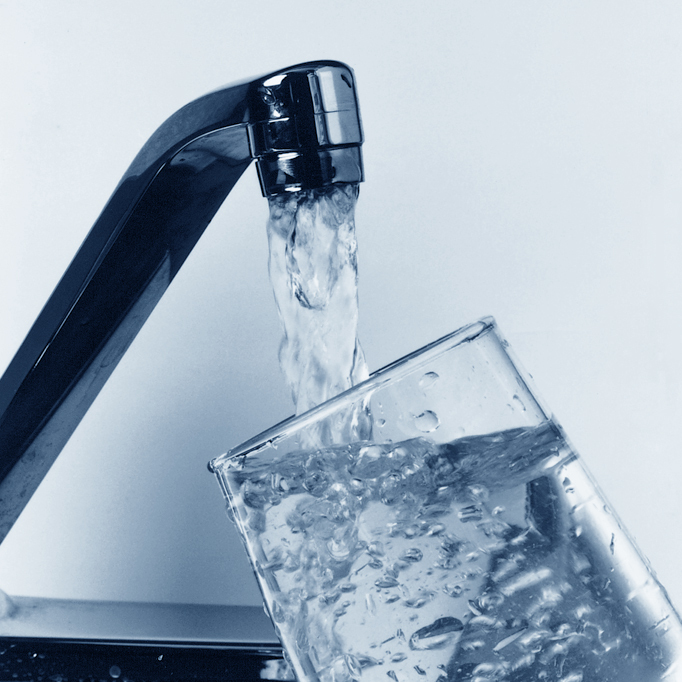 Public drinking water is typically the largest source of fluoridated water; other methods of fluoride therapy include fluoridation of toothpaste, salt, and milk. Water fluoridation has substantial advantages especially for subgroups at high risk.